I recently returned from a vacation to south Florida. While there visiting family, Mr. Snodgrass and I snuck away to Key West for a couple of days and I am so glad we did. 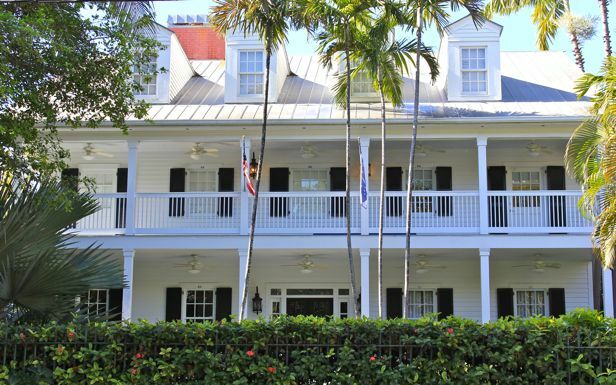 I was blown away by the beautiful historic homes in the Old Town area of Key West. Many of these homes and buildings are over 100 years old and so well preserved. 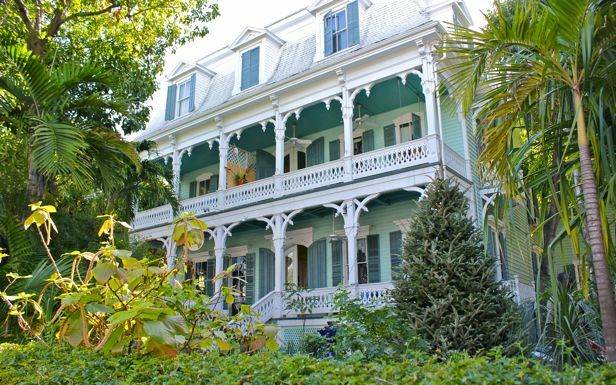 As you will see in my photos, these homes appear to share many traits of Victorian style architecture, but with their own distinctive Key West style. Bungalows are also plentiful, but these are not the same as the bungalows found here in Kansas City. 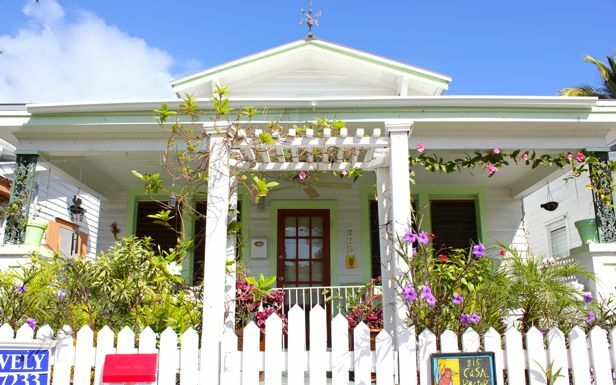 As you can infer from the list above, both form and function played a role in the design of Key West homes. They were not only designed for beauty, but to allow air flow in the warm tropical climate and to provide protection from the rain, tropical storms and flooding that are such a common part of their climate. And, at the risk of excess, here are a few additional photos from my trip: 1. 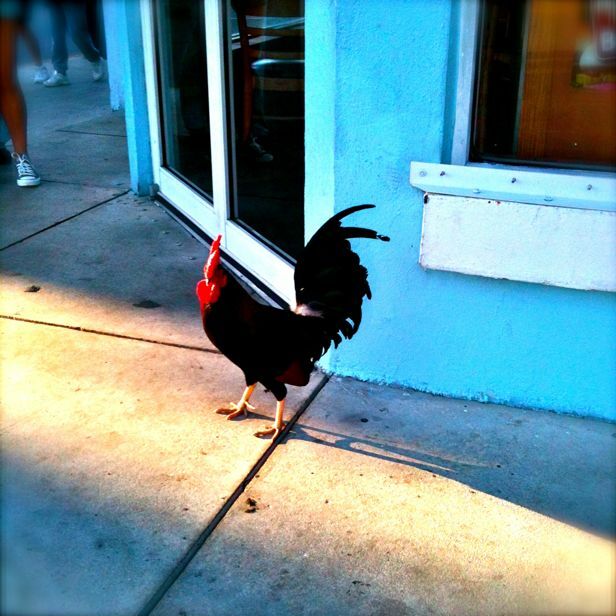 Chickens run loose all over the island of Key West. 2. 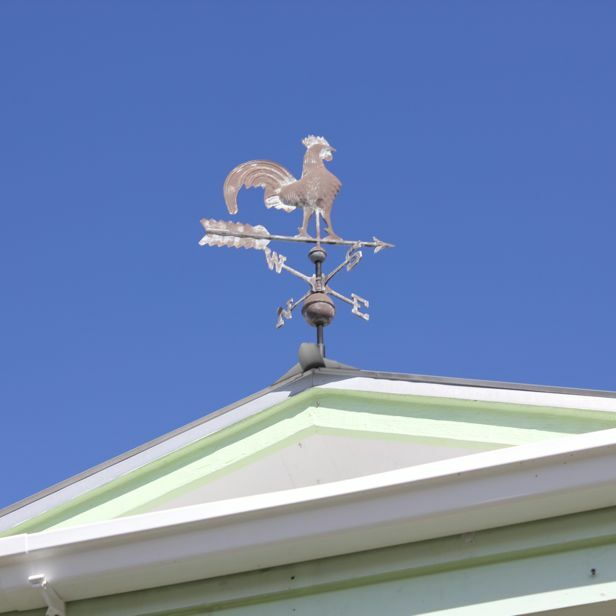 A weathervane perched atop a bungalow 3. Me in my dad’s tomato patch. 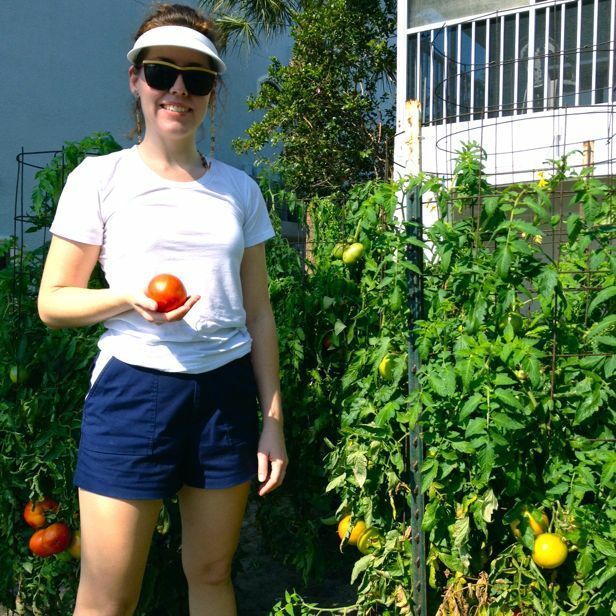 In Florida, they grow tomatoes in Winter. 4. 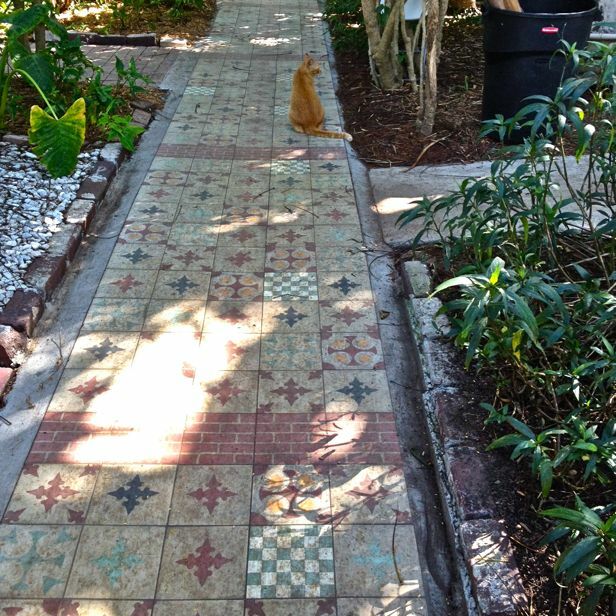 Intricate pathway at the Hemingway house. Your photos are gorgeous! I’ve always wanted to visit Key West! 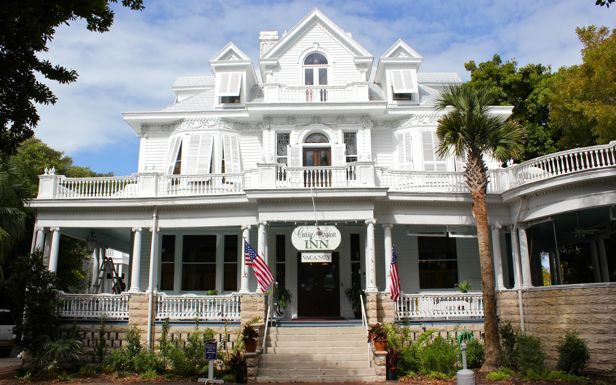 What a great job you did of capturing Key West architecture! Of course, that doesn’t surprise me from a fellow Realtor, and one familiar with Victorian homes, at that. You probably learned while here that so many of our grander homes are Victorian because a devastating fire in 1886 forced so many of our wealthy — and not so wealthy – residents to rebuild. Hurricanes also had a big impact on the architectural landscape of the Southernmost City. Prior to the “Havana Hurricane” of 1846, for example, there were some 600 or so buildings in Key West. After the storm swept through there were eight left! Eight! 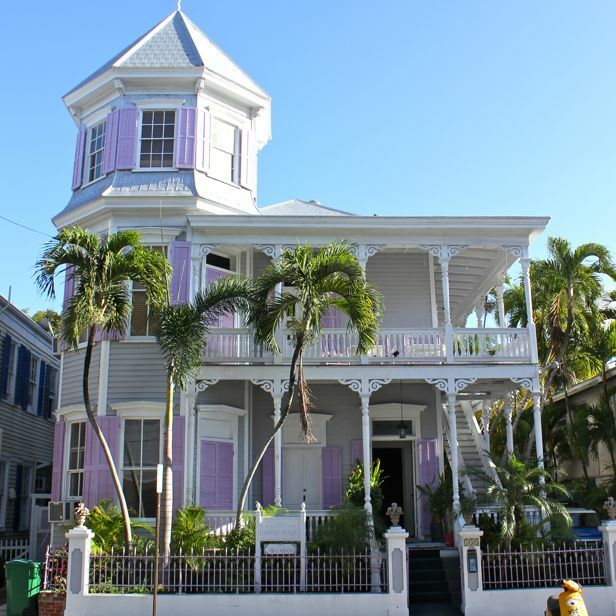 You might enjoy this Squidoo article about Key West’s Oldest House; the only one of those eight I’ve ever seen. It’s a free attraction now in Key West; neither you nor I will ever sell it, but it does sell Key West in its own way.